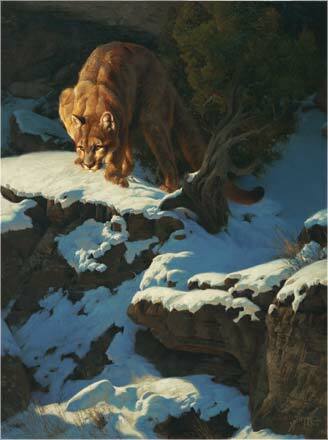 Creating for Greg Beecham is a spiritual pursuit. As a Christian, he considers making art an honor; he gives glory not only to God but also to nature in the process. Greg’s sole focus is oil painting; there are lifetimes of techniques in that medium alone. He also strives to create physical depth with his oils, akin to a type of sculpting. In addition to having his award-winning art featured in galleries, Greg teaches workshops at the Scottsdale Artists’ School. Greg’s father was also an artist and lover of nature, so he got started at an early age. Some of his favorite times today are in the woods, just like when he was a child. Greg’s goal in each painting is to bring it to a state of unity in the context of simplicity and beauty and he believes that conservation and preserving nature for future generations are paramount.